First of all: Why the hell do you want to promote your blog? Each blogger has his or her own reason or reasons for doing it, but a common point for them: they want to have more quality visitors on their blog! It’s the first and most important thing. Write an article for readers, not for uou or for Google or other search engines. Focus on high quality content of your post, including grammar, spelling and punctuation. The topic should be interesting and encourage your visitors to read your articles. Find five to 10 blogs about your topic and try to comment each new article on them for at least 1 month. Try to be first with your comment, or at least between first 10 persons commenting the post. And remember – commenting isn’t spamming, but adding something into the discussion (do you like comments like: ”Thank you for nice post, greetings!” ? – I don’t like it). After preparing your “golden egg” ask other bloggers to review it or comment on their blogs. But ask bloggers not from A-list (they probably will not have time for you), but bloggers from growing blogs, with comparable audience to yours. Please ask no more than 10 bloggers in one week, and not less than five 🙂 . For one ebook or guide, if you are a beginner blogger, you should do it repeatedly for one or two months. A lot of bloggers are waiting for your post… Really! Guest blogging has only advantages for you because you have access to new readers. For blog owners – because they don’t have to write a new post, they have free content. And the advantage for readers is that, they may read something with another point of view. Before writing a guest post, you should assure, that the blog owner is “ready for guest blogging”. You should also meet requirements for guest posts, which may be different for each blog. And most important tip concerning this point – try to make your guest post related to your free ebook. It really works. That means you should promote your blog daily. And don’t be discouraged with small amount of readers at the beginning – promotion is a long term action. Make at least one step a day. And whatever you do – always end with a call to action (visit my blog, follow me on Twitter, sign in into my e-mail list, etc.). I assure you, that if you will follow these eight tips for promoting your blog, your audience will be constantly growing! But if it’s not enough for you, feel free and sign in for my newsletter to be informed about other tips & tricks in the blog promotion area. What do you think about this list? Do you have any more tips for promoting your blog? Hi Chris, I want to write guest post for ProBlogger or DailyBlogTips, So can you tell me clearly how to send my post to them? I mean after completing my post where should I send it to get submitted at Problogger.net or dailyblogtips.com? Bro I have already all the guidelines. At problogger guidelines they did not mention where to send my guest post and at Dailyblogtips I have to send at daniel@dailyblogtips.com but how to do it I mean what should I write at email’s subject? Post title should be posted on subject and description on body? Everything is clear on the guidelines – on Probloger you firstly contact with them via contact form. GOOD ADVICE HERE #8 GOES ALONG WAY. HAVE A GREAT DAY ON PURPOSE! That’s a good one on posting your blogs off your websites on FB. Though i’m not real fond of timeline, I guess it grows on you. I’m not sure posting Hitlers response to Google was a great idea. I posted it a few places too. ha ha ha. he’d make you laugh and think at the same time. What a character he was. Great post again Chris !!! I always follow all the points you mentioned except the e-book one. I don’t think at this stage I can write an e-book or a ‘How-to-guide’. But whatever it may be, I love your writing style. Being consistent in your action is a great point – I know when I’ve slacked off just a little, it shows everywhere! Consistency is key… and content is king! I harp consistency every time I turn around. If people just realized that if they were consistent in their daily actions what kind of progress they would make. It’s like having a day job. You have to get up every day and go to work right! You have to do the job or you get fired right! So why can’t you do the same thing with your blog? Hi Adrienne, great that you learned something new here 😉 Not everyone is consistent in online business – a lot of people are looking for “magic button”, and if they didn’t find it, they are jumping into another online “business”. Consistency is definitely very important and one has to be consistent in almost every aspect of blogging, including posting, commenting on your own and other blogs as well as being active in the social media fields. Unfortunately I’m somewhat lacking in the last one and will have to try harder to overcome this roadblock. Hi Sire, thanks for your comment. Consistency is really important, especially on the beginning, when we don’t have a lot of traffic or content. Yeah, that is when most people give up, which is a shame really because they will never know how far they would have gone or what they could have achieved if only they had persisted. I am following comment policy very seriously and i can see its benefit…. Hi Sandeep, thanks for your comment. I agree with you that commenting is one of the most powerful blogger’s tool 😉 And thanks for your tip about 404 page – I’ll try it! You are the source of idea for ‘404 page’ article…. Thanks sandeep, have a nice weekend! Guest blogging is great – and can really improve your profile. It should be about this for me and not just another traffic strategy. Thank you for sharing this very interesting information with us. Michelle – thanks for your support. 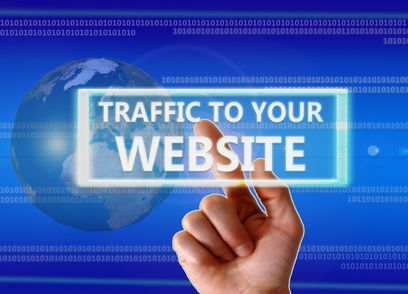 Promoting a blog is important to improve the Alexa ranking of your. Besides this, you can have plenty of visitors if you choose the promoting of your blog. Hi Santosh, thanks for stopping by. Wow thank you for this very helpful ideas you shared, i’m a new blogger and this would really help me. Thank you Chris! God Bless! Excellent and simple tips, the reason why we don’t get result is that we are not consistent as your last point tells us. Wonderful message. Thanks for the useful tips because I really can use it right now. I have only 2 to 5 visitors a day. Hopefully that will change in the future. Just now I started my self hosted domain, previously on blogspot blogs. Thanks for sharing the tips to promote the blog. Hope it would be helpful for me n newbie bloggers to improve the blog’s traffic. Very nice article. It really helped me since im new to seo and promoting blogs. Hi Chris and thanks for this very helpful advices. The best way for promoting our blog is creating an ebook and guest posting is also a nice option for it. It’s actually interesting to read these tips, and the comments as well. People have different ideas on how to promote blog. I guess Ehsan (GuideAndNews) is really good on this. BTW getting traffic is ridiculously hard. As I am scanning article titles in Bizsugar.com, I fortunately found this because I’m collecting blog tips. I believe this article will help me how to promote my blog effectively. Thank you. In addition, social media really helps a lot in promoting blogs..
Good tips, but the key is to take action on them and apply them 🙂 then you will see results. Wow really very good information about how to promote our blogs. Well i generally do all above discussed steps, but haven’t tried guest blogging yet. A after reading your article i have found out that the role of gust blogging in promoting your site is quiet important. Will surely give a chance to it….keep sharing!!! If I were to choose one out of the eight tips that you shared, I will go to guest blogging because for me, it really helps a lot to generate traffic as well as establishing relationship not only to your fellow bloggers but also to the potential readers that would visit your blog site. I had a blog but unfortunately I did not know so many things and I gradually gave up. Now I intend to start a new project and I will be your advice useful. Comments on other blogs have helped me increase traffic to my blog. As a result, I am beginning to see some money – albeit little but nevertheless some – from Google AdSense. Thank you for another brilliant post. My blog has actually been a hit without me even trying. Two tips to add, possibly. Firstly, you’ve said you need a lot of followers for Twitter to work, not so if you know the hash tags that apply to area you blog about. For example, I blog about two things, the hash tags are #MECFS #CFSME #statebenefits #welfarereform; boom, lots of hits. Secondly, StumbleUpon! Every post I write I add to StumbleUpon. I use the same tags that I used in the post for tags on SU, and write a brief review, as if I was someone else reading the post. I believe these two methods are what bring in the majority of my views. I also belong to a web-ring, but not sure how effective it is. Question: you mentioned updating your email lists with each new post (I think). I use Google’s blogger. I know people can ‘follow’ my blog, but I am ‘following’ some other blogs and have never received any emails telling me of new posts. Do you know whether there is actually a way to do this with Blogger? I do love guest blogging and bloggers too. If anyone would like to write their piece on either M.E./CFS, or the British Welfare Reforms you should be able to see my link with this post (otherwise Google Olana’s Fog Blog). I also take posts from people describing their experience with the WCA / Atos / DWP, and posts from people with M.E. / CFS who are trying to run a small business. All of the advice for getting likes is good, but very obvious. I was hoping for some crazy secret techniques. I’m a bit of a newbie so this post was extremely helpful. Thank you for these awesome tips! I I didn’t even consider personally emailing bloggers, so that’s a great way to get community support. I’m going to learn a lot from exploring your blog 🙂 Thank you! thanks..backlinks are also good .. I have a quick question here? How you are actually getting comments on your blog? Is it due to comment luv plugin or is there something else which is bringing the lots of comments and interaction on your blog, please do share with us. Hi! Thank you for your share above with a lot of useful tips to make a blog more attractive. As a blogger, I personally think it is really important to pick up a colorful and unique blog theme. That will make a blog become more specific and memorable to visiters. Hence, bloggers can attract a greater traffic! Anyway, thanks a lot for your useful share! It has been very helpful and has given me a few idea to implement in my project. One has to be consistent in almost every aspect of blogging, if he/she want to be a successful blogger. Consistency is definitely very important . Posting, commenting on your own and other blogs as well as being active in the social media fields, is required to maintain consistency and show activeness. Very nice explanation. Thanks for sharing.